Hi, friends! With February just around the corner, I’ve decided to team up with some other great bloggers to bring you some books we love for February! Each of us will feature a book, along with an activity or resource, perfect for the upcoming month! 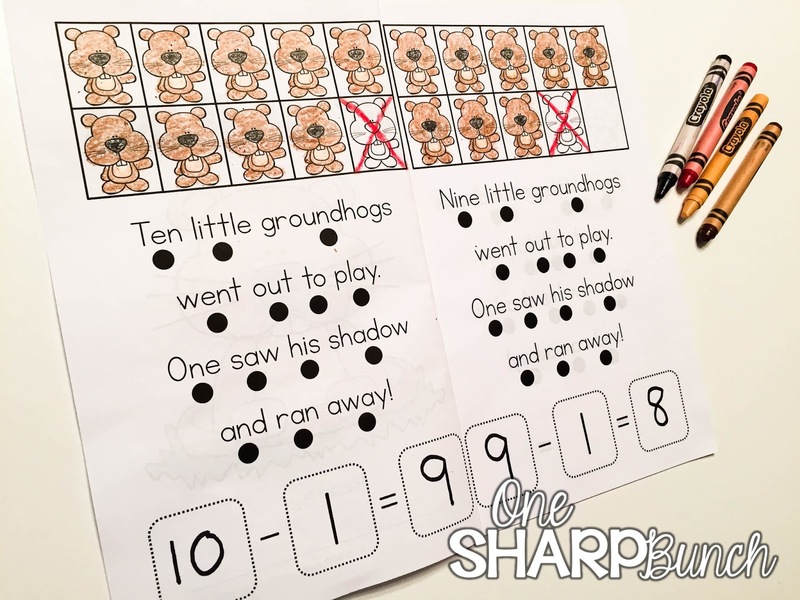 Of course, you will find many Groundhog Day activities along the way, as well as this Groundhog Day subtraction book freebie! This post contains affiliate links for your shopping convenience. Any purchases made through one of our links earns us a small commission, which helps to support the blog so we can continue sharing content like this with you. All views and opinions expressed are purely our own. One of my all time favorite books for Groundhog’s Day is Ten Grouchy Groundhogs by Kathryn Heling. 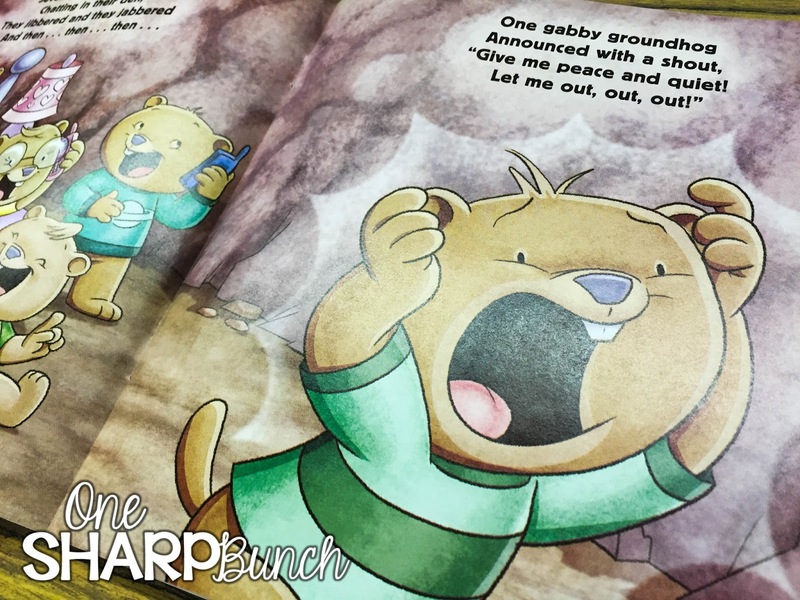 I just love the adorable illustrations and humorous tone, as well as the describing words the author chooses to use to portray each of the groups of groundhogs. It’s such a perfect use of alliteration. Plus, this book lends itself perfectly to counting backwards and taking away one. I always love when I can integrate literacy into my math instruction! First, I simply read the book aloud to the students. This is merely for enjoyment, so that we can become familiar with the text. I take time to point out the words that rhyme. As we get closer to the end of the book, the students are able to finish the line of rhyming text. 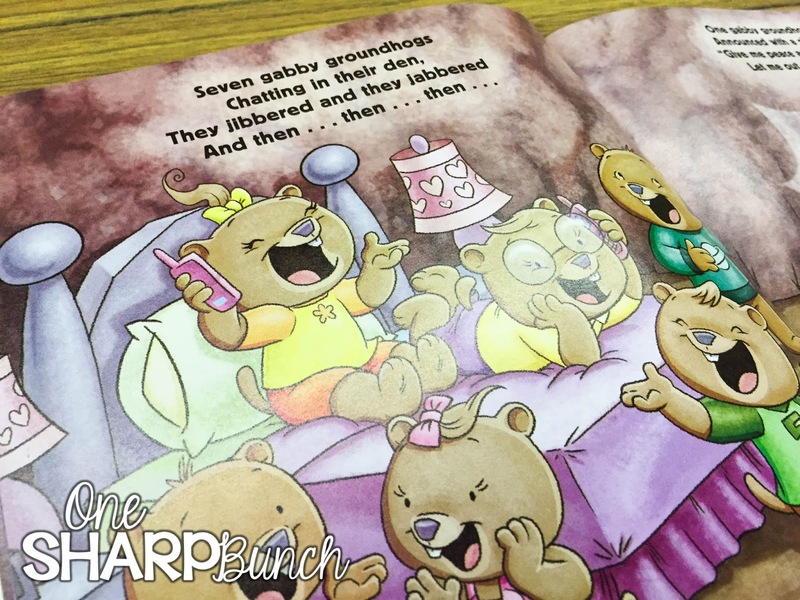 They even like to chorally recite the repetitive parts of the story. The ending of the story is my absolute favorite, especially if good ol’ Punxsutawney Phil sees his shadow! During our math instruction, I reread the story and we complete the following Groundhog Day activities. This time, I have the students act out the story using a ten frame and counters. I stop after each page so that the students can model the story. Then, we orally recite the number sentence that fits this story problem…such as ten minus one equals nine. 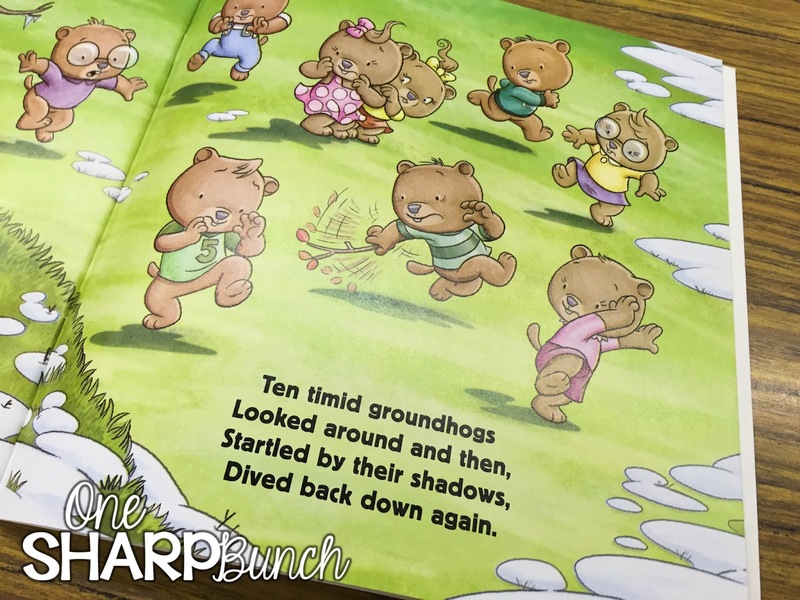 During our literacy block, we read our Ten Little Groundhogs emergent reader. One of our focus words for the week is “play,” so I have the students highlight this word in the text. We also circle the word “out” since that is another one of our newer word wall words. On the second day, we complete the math portion of the reader. 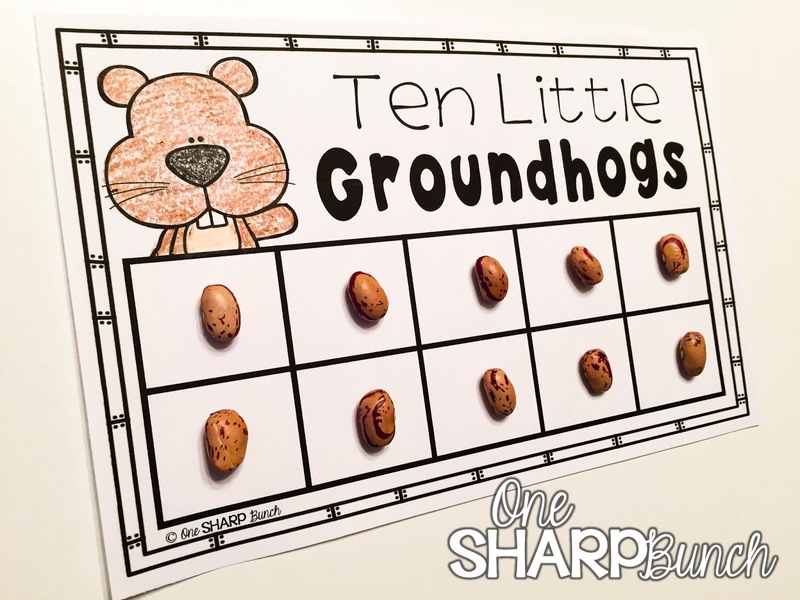 First, we look at the ten frame to determine how many groundhogs there are. 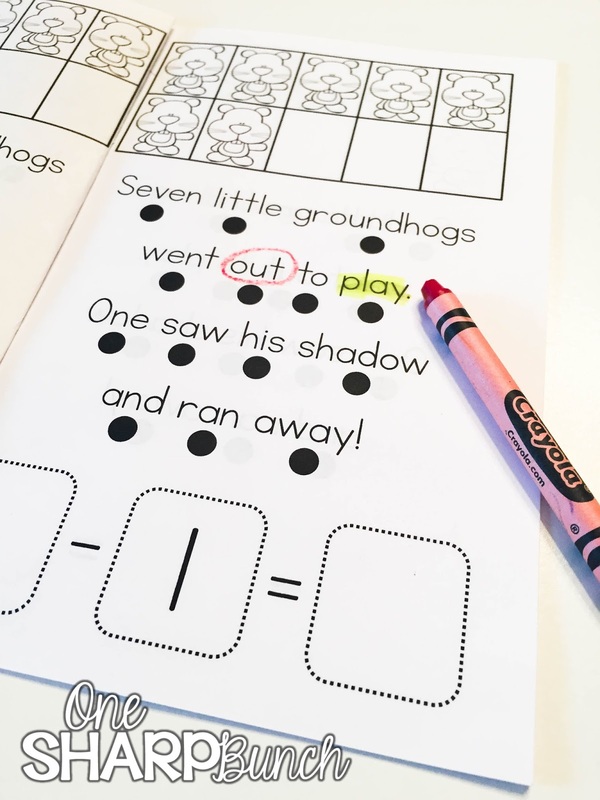 Then, we reread the text and cross off the last groundhog. Last, we complete the number sentence at the bottom of the page. If you’d like to give this Groundhog’s Day activity a try in your classroom, just click the image below to grab it for FREE! I was lucky enough to get Ten Grouchy Groundhogs from Scholastic a couple years ago. If you are unable to find it there, you can always grab it from Amazon using this affiliate link. If you are looking for more classroom ideas for the winter, head on over to my “Winter” board on Pinterest! Follow One Sharp Bunch’s board Winter on Pinterest. Don’t forget to check out these other great February read alouds and activities! These are so stinkin' cute! The countdown book is GENIUS! Thanks for sharing! Thank you so much for the groundhog book! I can't wait to use it! I love this idea Ashley so much that I pinned in it!